Mmm- the savory stuffed crepe is a jolly good enough thing as far as I am concerned! My Saturdays are all about jostling crowds in 3-4 different grocery stores (since I like buying particular things in particular stores) and wishing for the 100th time that I did my shopping on Sunday morning when the rest of Missouri is at church. Ha ha you mad eme laugh by your generosity to your hubby by making a list for him. I think i shuold come over to your place on saturdays. Here we try to sleep in as that is one morning we don't have to get up early for sending S to school. Sandeepa - While reading this post I felt like someone was narrating my Friday nights and Saturday mornings. I so much liked that part where you said - 10am in the morning, have had only a cup of team and the little one's breskfast is done. 48 hours, a long list of chores and a heartfelt wish to give a jolly good time to your kids - This is all of our's saturday story. Except that you have the patience to make egg parantha and keema matar even after that. Hats off to you. Sandeepa as usual thanks for the laughs. But I like this jolly good breakfast. Pretty tasty I bet for the kids as well. Next time you should add shower in there as well and pray do tell what BMW stands for next to PMS. As usual, enjoyed your post (very funny!! )..The egg paratha looks yummy!! Jolly good post! 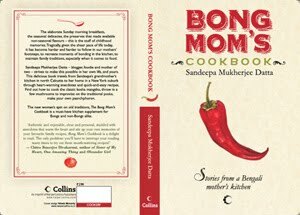 It was very nice to read that another Bong mom out there things so much alike! I am sure big sis and her small sis will have several colourful memories of her childhood! eventhouhg I don't eat meat, it still looks awesomely delicious! Maybe my new Saturday routine will be to read your psosts - - this was really funny. Thanks for opening up your heart and the doors of your home at the same time. I got a good chuckle out of your writing. I'm almost afraid to ask, what on earth is a BMW if not the car? Hehe.. BongMom is back! 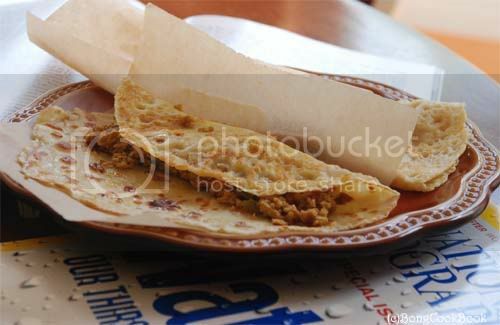 :) Lovely post, and jolly good Keema-crepe! i gonna try this ,combo looks yum,. keema and parota nice combo! Most attempts to make kheema at home haven't met my approval. We use chicken kheema and find it too dry. Will try your verssion. Saturday story? Wake up. Hope wife is awake soon. teeth brushed, hair flattened down, jammies changed, stroll down to Candies for breakfast. At half past noon. Wife moves on to parlour. I head home. Nap. Another coffee. Blog. Get antsy around 3.30 and close to PMSing with hunger by the time she returns. Lunch at 4, 4.30. At home if maid came or back to Candies. Nap. Coffee shop. Walk or gym. Wife definitely. Me? Hmmm. Dinner. Blog or movie. Sleep. I keep smiling reading it, because this is the same story here in my house..no early mornings on saturday and most of the time breakfast/brunch is way past 11am...usually we like to go out on saturdays and roam around here n there .. I think this can be excellent dinner idea also.That plate full of delicious food,is making me hungry..
Ahhh I have pushed most of my grocery store hopping to weekdays, just to keep the weekends free and even then it is far from so. And we too have to do the several store thingy, it gets maddening some times. Also honestly the hubby helps a lot. He actually made most of the crepes. After that Everybody Loves Raymond Episode where Debra ha such issues, D came up with the term BMW and whenever I am having my mood swings that is what he says "PMS or BMW". I don't know where he got it from(was it in the episode?). That really sounds relaxing. But alas such days do not happen in my schedule these days, I try to finish part of the grocer hopping, on the way back from work on weekdays. Saturdays, I work in the office. Sundays, I work at home. Haha certainly not like this crepe with keema mutter! Gosh I am coming to East coast for this brunch Sandeepa for every saturdays. Usually we have only tea and go directly with leftover of friday night for lunch, so did u see how is the "jolly time here" but of course my kid has a plan to eat out! My saturday story is ditto yours. only when I go to shower I lock the bedroom door too so no one can even ask for help and I refuse to hear them when there are "emergencies" .. only a few minutes of bliss, well sometimes only on the days when we have no where to go, no activities to take them to. But this is a "jolly good" brunch, and i could forget everything if I could eat something as delicious (only I would be too lazy to make it for myself). Uncannily similar to my place your wonderful story of a saturady morning.My family still live in the hope mum will make a nice saturday breakfast all of us can sit and eat relaxed.We live in hope. shonibaar sokale samner 48 ghontay ki ki korbo aar ki ki motei chhNuye dekhbona bhabte bhabtei dupur goRiye bikel. kaajer moto akaajer syllabus-o ami konodin shesh korte parini :(. I loved this post. Not just because of the recipe, but the warmth of a beautiful family life that emerges from the whole narrative. Nice and look forward to many such posts. 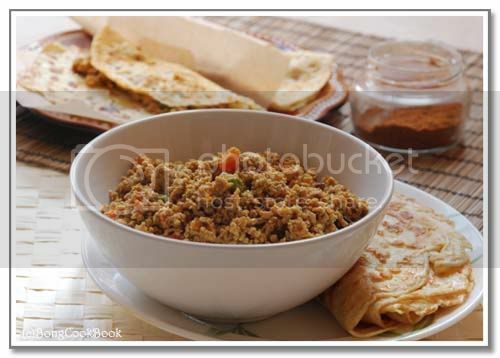 there's something about kheema that's so comforting! 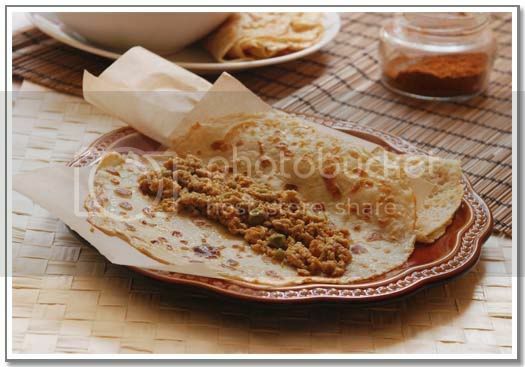 I am going to try both the paratha and the keema karaishuti this sunday! sounds yummy. will let you how it went!! Your description of our unreasonable efforts to make sure our kids have some kind of magical weekend they will treasure forever hits the nail on the head. Between doing that and trying to get "family time" in and shopping for groceries plus completing a never endinglist of tasks such as cheque deposits and insurance renewals means the weekend is Chaoc city. So I think back, what did I do with my parents - well guess what i remember visits to the bank followed by a visit to the dadar wholesale veggies and flower market alternated with a visit to Gandhimarket where we would ooh and aah over sarees and assorted trinkets. There were movies on some saturdays and dinners on special occasions. We liked that - so what makes us think our kids wont like Saturdays just the way they turn out?! hi made the keema koraishuti and the dem er parota - the keema koraishuti was nice. however my used to "kolkata anadi cabin moglai parota" tongue found the crepe to be a little flat on taste and not very crispy. but the partner was happy with what i churned out and ate more than his fair share. i found your recipes very easy to follow and of course your description and the way you post them are fabulous. thank you. Aha Moglai Parota, that is in another genre all together. No these crepes are no where near Moglai Parota, they are much easier and like savory pancakes as I said.